We are coming toward the end of our wilderness journey, this Lenten season filled with opportunity to explore our faith, to learn new ways to be present as Jesus taught us in the example of his own life. Forty days feels like a long time to do this incredible work of honoring God’s wisdom in us, to be humbled by its transformative strength and power, often in ways we can barely begin to unravel in this Great Mystery that God truly is. And then suddenly, there is Palm Sunday. We sing our Hosannas, echoing those surrounding Jesus as he returned to Jerusalem. And, we know what comes next. By Biblical accounts, so did Jesus. His time in the wilderness appears to have given him affirmation, personal resolve, and the renewed foundation of faith to walk back out of the wilderness and into the fire. And, as he faced this stretch of his life, he also had his friends, Mary, Martha, and Lazarus. It is a Biblical concept, this sense of connection to each other that can be described as deep affection, respect, admiration and love. In describing Jesus, each gospel writer allows a great teacher, prophet and savior to emerge. But John’s one sentence speaks of Jesus the friend: “Now Jesus loved Martha and her sister and Lazarus (John 11:5).” Jesus spent time with them in their home, including the Passover, a true family celebration. One can only surmise that in the remembrance of the Passover ritual and tradition, there were also stories told of past gatherings, and some laughter. From Jesus and his friends we can learn some wonderful lessons about friendship. Friends become a safe haven when hospitality is shared, hearts are opened, and love is freely given. The sisters clearly were hurt and angry, confused and deeply saddened when Jesus took so long getting back to them as Lazarus was dying. They were equally elated and grateful at the results when Jesus finally did show up. Raising Lazarus from the dead must have been a recurring story around their table whenever Jesus came to visit. How could it not be? Friends make us better. Augustine believed it was important to surround ourselves with people who are better than us because they make us better. A friend and I laughed over the fact that we had both chosen each other for this reason. While Jesus was known to many as teacher, healer, prophet and miracle worker, he was also known to this family as friend. Spending time with other people’s families gives us insight into ourselves in unique ways. These siblings gave Jesus something he would not have had if he hadn’t chosen to spend time with them. Friends remind us who we are, even when we forget. When we falter, face huge obstacles, back away from what we don’t want to deal with, and when we are smack in the middle of something we don’t know our way out of, our friends are with us to say out loud, or in our hearts, “Yes, you can. I know you, and I know you can.” In our slim book of Holy Week readings, there is a small notation indicating that we don’t know what Jesus did on Wednesday night, the night before his arrest and imprisonment, but it is assumed he spent the night in Bethany in seclusion with friends. A last night of peace among those he loved and who loved him. So as we come to the conclusion of our wilderness journey, as we enter Jerusalem with Jesus, spend some time in the home of his friends, Mary, Martha and Lazarus, I invite you also to look around your own life, take note of those you have welcomed as friends over the years and who are a part of your life today. Consistency is important in communications, and social media is no exception to this rule. Social media accounts have what are referred to as handles, which are a way for your audience to find or tag your page on Facebook, Instagram, or Twitter. Use the same handle (username) on all of your social media platforms. If you can make your handle the same as your website URL, that is even better! Even if you aren’t ready to use additional platforms, go ahead and reserve the handle on other platforms by setting up an account on them. Just don’t point your congregants/audience to those social accounts until you are ready to use them regularly. 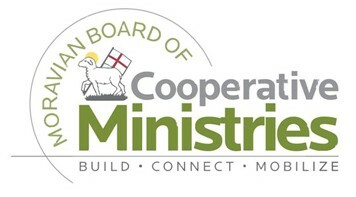 Example: The Moravian Board of Cooperative Ministries’ website URL is https://www.MoravianBCM.org. We can be found by and tagged with @MoravianBCM on Facebook, Twitter, and Instagram. This saves us from confusion and makes promoting our online presence much easier. On promotional materials, we just need each social media logo (or list them by name), and @MoravianBCM next to the logos or list. Add our website, email, and phone number, and we’re good to go! According to Google.Domains, a URL (Universal Resource Locator), is the complete web address for a particular page on the Internet. The URL for our Moravian Church Communicators in America, South group is https://www.facebook.com/groups/MCSPCommunicators/. 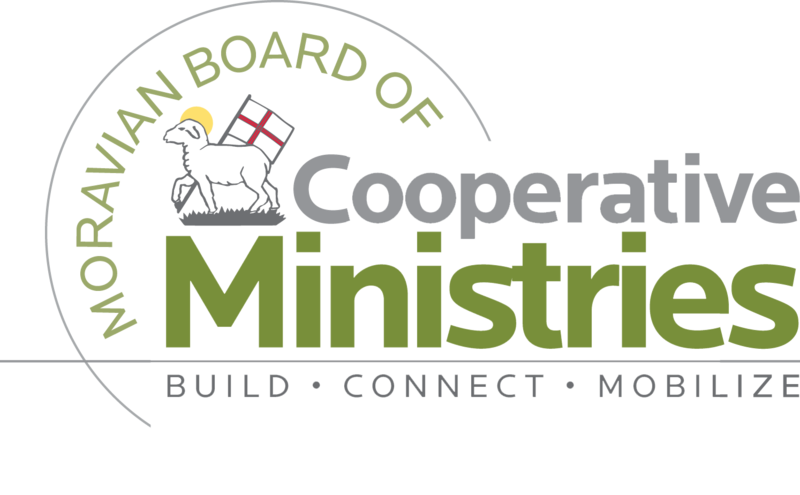 Example: our display name on Facebook is “The Moravian Board of Cooperative Ministries (BCM).” Our handle, or username, is @MoravianBCM. The handle is also what is used in your social profile’s URL (https://www.Facebook.com/MoravianBCM or https://www.Instagram.com/MoravianBCM). It is critical that you set up your username on Facebook (it doesn’t necessarily do it automatically). Otherwise, you’ll get an impossible to remember URL for your Facebook Page. It is less important for your display name to be the same on each platform (some platforms limit length more than others). But it recommended for churches to always have the word “church” at the end of their display names, so they’ll appear in searches for churches on each of the platforms. That is all for now. I hope this short overview is helpful to you! Don’t hesitate to ask the BCM or myself questions here or on social media. You may also email me at Andrew@MoravianBCM.org. *Facebook calls it a “Page name” and Twitter calls it a “display name.” For simplicity and consistency’s sake, I’ve defaulted to using “display name” here for all three major platforms. This is also a bit more accurate, as the term “Pages” is used exclusively by Facebook to identify public entities active on their platform. “The Difference between a URL, Domain, Website, and More.” Web Terms 101: the Difference between a URL, Domain, Website, and More. – Google Domains – Google, Google, domains.google/learn/the-difference-between-a-url-domain-website-more.html#/.